We are Manufacturers and suppliers of best quality White Pebble. Supplying from Rajasthan, India. These are also known as White River Pebbles, Granite Pebbles, Marble Pebbles, Stone Pebbles, White Boulders Pebbles, Red Sandstone Pebbles, White Pebbles Manufacturer Taj Agate India a manufacturer and Wholesale suppliers and exporters of pebbles chips,and agate items here all kinds of agate items available.Our speciality is pebbles for chips and decoration. 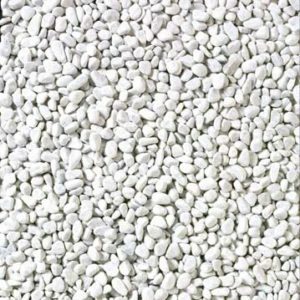 White pebbles are used as decorative landscaping White Pebbles and come in various colors and sizes and used in houses, ponds, fountains, luxury lounges, landscapes, fish aquarium, parks, out houses and gardens. These white pebbles, and are Bulk bag in size. Above details are standard, can be customised as per Buyer’s Requirements too. Dry tumbled pebbles and wet tumbled White Pebbles. The finished surface varies as dry tumbling provides the pebbles a polished and smooth ending in comparison to the wet tumbled stones. Available Colors: White, Black, Grey, Brown, Green, Yellow, Beige, Red, etc.Machine made round pebbles pure bright and economic.